No garden design is ever finished. Plants fail, tastes change, and weather is unpredictable. Your original design may not have been created on paper and it probably didn't follow all the gardening design basics. We all have grand schemes and the best of intentions, but impulse buys are common to all gardeners and we're all guilty of tucking a plant in a "temporary" spot and never returning to move it. You've probably heard the saying "The first year they sleep. Second year they creep. Third year they leap. ", about perennials. What they don't go on to say is that is only takes about another 3 years for it to grow completely out of control. So if there's one thing a gardener can count on, it's having to re-evaluate their garden on a regular basis. The first step is very simple. Think about what you like and what you dislike about your garden. Do you always wait for when the daylilies are in their glory? Do you dread having to deadhead or that period in late May when nothing seems ready to bloom? Go with what pops into your mind quickly. Once you have those thoughts, take a look at some of the photos you took during the year, to jog your mind a little more. Did the iris flop over as soon as they bloomed? Did the coreopsis and poppies make a particularly nice combination. Look over that list of disappointments and make notes of what not to plant next year or what can be removed and given away. As for that list of plants you love, you now have a shopping list for next season. Now that you've reviewed what worked and what didn’t, take a moment to consider what plants will be happy in your garden's natural conditions. A healthy plant is better able to withstand diseases and pests, and plant will be healthiest in growing condition that suit them. Before you can look at the suitability of a plant, you need to assess your site. Is it full sun or partial shade. A site that started out as full sun could now be shaded by a growing tree. Or a shady garden could now be in baking sun because a tree was removed. How's your soil? I hope you've been amending it regularly with plenty of compost and other organic matter. But if it is still mostly sand or clay, you'll have to work with that. Sand will drain very quickly and needs drought tolerant plant choices. 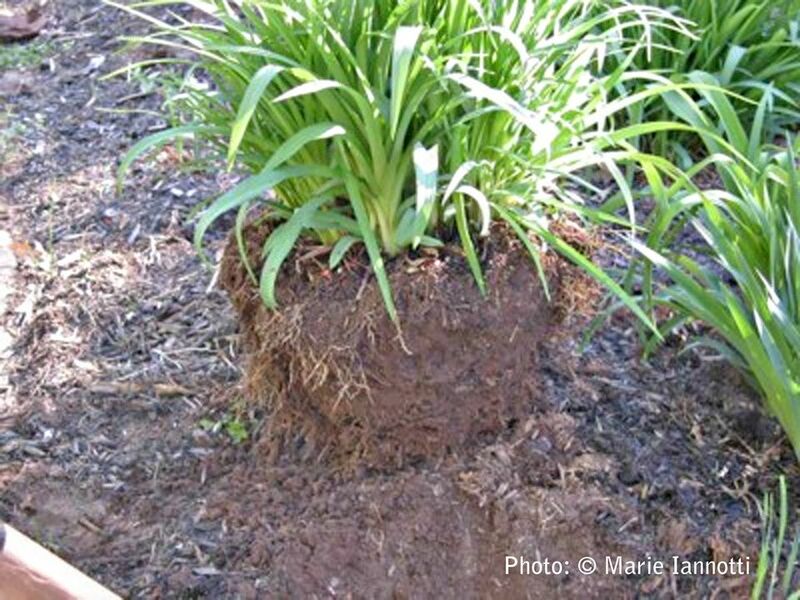 Clay can get bogged down and soggy, which requires a whole different type of plant. Then there's soil pH. It's no ones favorite gardening topic, but it is vital to plant health. It only takes a few moments to have your soil tested to see if it is acidic or alkaline. And finally there's your general climate to consider. What growing zone are you in now. It might have changed. How long is your growing season? Is it long enough to actually see the goldenrod bloom? Is spring so short it's not worth adding more ephemerals? Is rainfall so sparse, succulents are all you can grow well? Now that you know what your plants will have to deal with, you can start to think about what plants you want. Even if you plan to shop locally, a good catalog is a great place to research plants that are suited to your garden. And finally, here are some tips to ensure the plants you choose at the nursery are healthy and ready to start thriving in your garden. Nothing makes a garden look more polished than a good clean edge and a nice layer of mulch. Mulching should be done fairly early in the spring. You want to wait until the ground has had a chance to warm and dry a bit, especially if you had a lot of snow cover that melted recently. However you don't want to wait until the weed seeds have had a chance to germinate. If that happens, you will need to weed first and mulch later. The only time I would recommend waiting to mulch is if you like to let your flowers self-sow. Putting mulch down before they germinate will smother the seeds. You will have to resign yourself to waiting and doing a bit of weeding. It's easier to edge before you mulch. Neither task is particularly fun, but you only have to do it once or twice a season and a clean edge and smooth backdrop will give all your other efforts that much more impact. By all means, garden organically. It keeps your soil healthier, which keeps your plants healthier. It also means less work for you, in the long run. Who want's to spend their time their time in the garden with a spray can in hand? But organic gardening doesn't mean laissez faire. It requires a balance in the garden, which includes encouraging beneficial insects, amending the soil with organic matter, removing problems before they spread and having a good mix of plants, so that if one has a bad year, the others can carry the ball. Being organic means being proactive. You can't rely on quick fixes, even if they are labeled all natural. There will always be problems, but if you keep watch, you can usually correct them before they get out of hand. There was awhile there where new perennials were the holy grail of the gardening world. We went crazy every time a Hosta showed a new stripe. Trees and shrubs were for common landscapers, not cultivated gardeners. No more. Have you seen the shrubs out there on the market recently? They're textured. They're colorful, They have flowers and berries and long seasons of interest. Even better, they don’t require months of endless pinching and primping. Every border should have a few fantastic shrubs in it, to add structure and offset more delicate plants. While shrubs provide structure, you can really mix things up with the foliage of perennials. There is so much variety now, you almost don't need flowers. Almost. Keeping the garden in bloom all season is an art that needs constant tweaking. But even when there is a lapse in flowering, plants with great leaves can make it barely noticeable. Colorful foliage, like the brilliant yellow of 'Sum and Substance' Hosta or 'Gold Heart' dicentra, the deep maroons for 'Obsidian' coral bells, the endless choices of striped and speckled and frosted leaves, like Brunnea 'Jack Frost', above. And that's just the color. There are equally as many choices with shapes and textures, like the delicate, frilly thread-leaf coreopsis juxtaposed with the wide, bold leaves of 'Silver Giant' Hosta. No plant blooms incessantly all season, but there’s no stopping great foliage. There’s not been much point in stopping to smell the roses lately. Most of them have no scent at all. Like a flavorless tomato that was bred to ship without bruising, flower breeders met our need for longer bloom periods and larger flowers, at the expense of fragrance. Why not get the same thrill you get when the lilac buds start to open, every time you walk into your garden. Adding fragrance and sound to the garden brings it alive. You can enjoy them even when you're not able to be in the garden. For great fragrance, you need more than one plant. Start by looking for seeds of old-fashioned flowers that perfume air. Containers have really come into their own. It's possible to have an entire garden totally made up of containers. They can require a little extra care, since they dry out faster than ground soil and they can't feed themselves, but they make up for it with huge impact. Choose containers that complement each other. They don't have to be the same color or material, but they should share some commonality, like being rustic or industrial. As for the plants, squeeze them in. And don't forget perennials and even trees, when you want something large and imposing. Too often my containers are used to house plants that I couldn’t find a spot for in the border. One last tip, use containers to fill in holes in the garden. If a plant in the border fails, you can pop in a container and no one will be the wiser. Have you ever noticed how beautiful some fruits and vegetables are? A rose has nothing on a sleeve of cherry tomatoes. Not all edible plants can be safely grown outside of a fenced in vegetable garden, but many can. Whether it's berry bushes, glossy hot peppers, or the surprise of a striped eggplant, make use of any open spaces in your borders with edible plants. They're not just attractive, having a mix of plants is good for deterring pests. And you never know when you might crave a snack. Fall bloomers are a hard sell in the spring. We want instant gratification after a long, dull winter and a bunch of plants that languish for 3 months of the growing season just don’t have that great an appeal. But fall is such a beautiful season and the garden can really come back to life as the cooler weather sets in. You'll probably have to do some hunting, but fall flowers can be found in the spring. This is the best time to get them in the ground, so that they'll have the whole season to grow larger and stronger. Many will need some pinching back to branch out and set even more buds. Put your fall flowers toward the back of the border and they'll give your garden a nice backdrop of green until they're ready to step center stage. It's a pleasure to work in the garden on cool fall days and now you'll have something glorious to look at. There is certainly a lot to consider, when planning out your garden. That's what makes gardening such an enjoyable pastime. There is always something new to try. Don't let it overwhelm you. You don't have to do it all at once. In fact, it's better if you build your garden over time. You only get to know your garden and what you really love after working in it year after year. You will never be satisfied. Why would you? Luckily your garden will continually change. Take the 10 points listed here and use them to help you see your garden with new eyes and new possibilities.